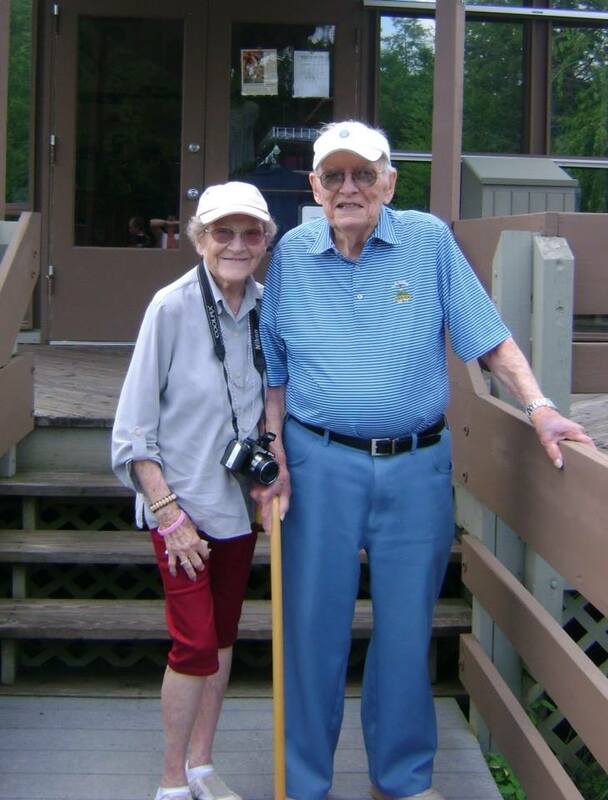 On November 11, 2014, my grandmother, Mary Hendel, died at the age of 91. She was a beloved woman and the life of the family. 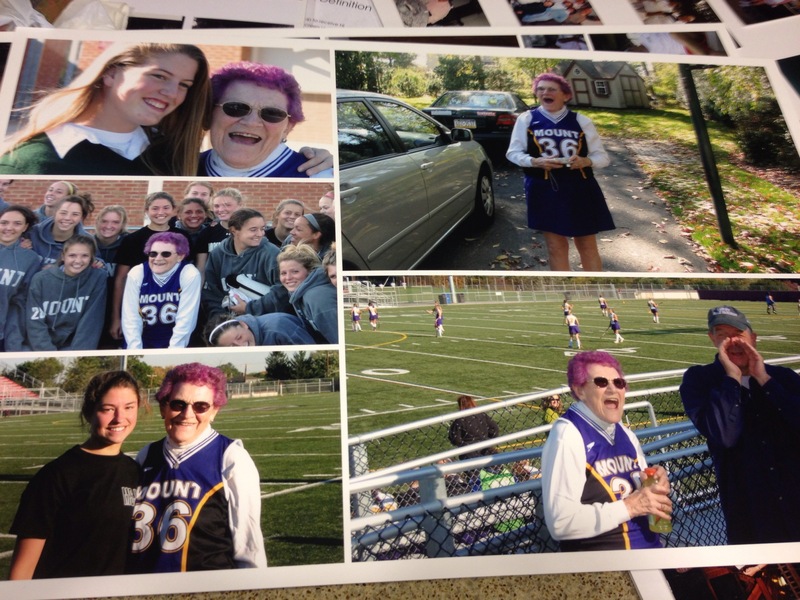 Yesterday, I was privileged to be able to give a reflection of her life at her funeral mass. My message was this: Nana led us to God, and God will lead us back to Nana. When I think of Nana, I think of a woman of great joy. Tremendous joy. Infectious joy. As I thought about her over the past couple of days, I struggled to come up with even one memory of her that did not include a smile. And do you know what? That made me smile. She was an affective person, someone that simply could not contain her joy. She was the woman that played tennis well into her 80s. The card player that could bid the same thing all night and still beat you… with a smile. The life of the party that found herself on YouTube playing beer pong (seriously, check it out here!). There is very little that she did not get out of this life. When I think of Nana, I think of a woman of great sacrifice, always giving of herself. Tremendous sacrifice. Infectious sacrifice. As someone who will never have kids, I can’t even imagine how much she must have given of herself to raise ten children, and to raise them well. And trust me: I know all of you and I’ve heard stories. She must have been a saint to handle you through your teenage years! And that’s the way she was until she breathed her last. Nana was a woman always looking to serve, ready to do whatever she had to do to make sure that her family was happy, well-fed, welcome. There is very little that she did not give of herself in this life. When I think of Nana, someone who is truly a saint in my eyes, it makes me wonder: what made her so joyous all of the time? What was it that gave her the strength to love so selflessly and unconditionally? The only answer that I can possibly give is the love of God. Nana was a woman of strong faith and great hope. God was her shepherd, the one who guided her through tough times and rejoiced with her during the good. He was her comfort, and clearly her strength. The fact of the matter is that Nana was someone so close to God that she truly embodied Christ in her person. Think about the Gospel passage we have just heard. Right before his death, a death he freely accepted, Jesus took time to do two things: share a meal with his closest companions, and wash their feet. Joy and sacrifice. That, I believe, is the totality of what God meant to reveal to us in the person of Jesus. That truly is the meaning of our life here. Through Jesus, we know the joy of our salvation, the good news preached to the poor and oppressed, that God loves us and wants to bring us home to him. This is not just some passing emotion; I’m not talking about simply being happy. What Jesus brought was the day in, day out, eternal joy of knowing that God was walking with us as our shepherd. And how did he reveal this to us? As a king lording it over us? As one demanding his strict obedience and service? No, quite the opposite. Jesus showed by his example that the way we are to love one another, the way that God relates to us, is as humble servants. Without arrogance. Without entitlement. Without pride. Just love without counting the cost, even if that means giving of our lives. Isn’t that the way Nana lived every moment of her life? A joyful servant of God? Pictures like these were more than plentiful at the viewing. Nana was joyful and outgoing. What I love so much about our psalm today is the image of an overflowing cup. Isn’t that truly what our lives are? Overflowing cups? How could we begin to count the ways God has blessed us? When has our cup ever gone dry? For those who ask to be refilled, God will never stop pouring. That’s the way Nana lived her life. She never thought twice about taking a sip out of life, enjoying every blessing God was going to give her, never fearing that she might run out tomorrow. She was joyful because she knew that God would fill her back up. She never thought twice about giving of herself, emptying her cup for love of others, never fearing that she wouldn’t have enough for herself. She was a servant of others because she knew that God was going to fill her back up. As she grew older and older, she used to joke, “I think God must have forgotten about little old me down here.” I hardly think this was the case. God had not forgotten about her, and she certainly had not forgotten about God. But I think there’s something so human about a statement like that. Even when joking, it touches on the deep, existential questions we all have to some degree. Does God exist? Why am I here when others have died? What happens when we die? What is the meaning of life? There is within each one of us a longing to know the answer to each of these questions, a struggle to realize that we cannot prove our answers to any of them. It is the human condition, to know that we will never find absolute certainty in this life, but that we have to make a decision anyway. On the one hand, we can let our doubts and skepticism get the best of us, focus entirely on what we don’t know, and wallow in our great loss. Nana is gone from this world forever. But that is not our only choice. We have within us the capacity to hope to believe what we have heard in Scripture and what others have told us. We have hope that what we have seen with our own eyes is God working in this world. This is not some wishful desire made up to comfort us. It is the experience of good and faithful people for thousands of years. It is hope that keeps us from despair; hope that keeps us going until that final day when we breathe our last and we find ourselves face to face with the one who created us and called us home. As Christians, gathered around this saint named Mary, how can we have anything else but hope and joy for where she is now. Are we sad? Of course. Do we miss her? Undoubtedly. But if we have hope in the life of Jesus, how can we not have nope for Nana. Jesus came to us for a short time, brought us the Father’s joy and love through humble service, and when his work was done, he returned to the Father. Isn’t that Nana’s story as well? After witnessing to the great love of God our father for 91 years, she now returns to that love, to remain in the comfort of his hands forever. And so I ask something of you, something for you to think about and ponder as you remember the life of such a wonderful woman. If Nana has touched your life is some way, if her joy made you smile (or continues to make you smile), if she has made your life better because of her great sacrifice, if she has made you the person that you are today… would you allow yourself to believe that is was God who touched her life and made her who she was? Would you allow yourself to believe that it was God working through Nana to show you his love? If you say yes, know that Nana will never be far away. For what we truly loved about Nana is before us here and before us always. God’s love is ready to be poured out to all who ask for it and made truly present here in the word and at this table. God’s grace made Nana’s cup overflow so much that we couldn’t help but feel his presence in our lives. May you allow your cup to overflow with the grace of God so that you may also bring joy and selfless love to all you meet. Your Nana was a beautiful soul. Saints walk among us and with her passing the ranks of heaven swell. Thanks for memorializing her so beautifully and directing all to the Source of her liveliness and loveliness. God bless you Casey. Nana was surely smiling having not just one, but 3 friars on the altar at her funeral Mass, the most special to her heart being you. She was so happy when she heard one of her Grandsons was answering God’s call to religious life. Having two of your religious brothers serving with you and Fr. Bill had to make her grin ear to ear. Thank you for posting your reflection with all of us to remember and share. Nana, now our own Saint Mary Bernadette, pray for us. We miss you. My prayers go out to you and the rest of your family, Casey. Just beautiful. And so faith filled. Thank you for sharing.